U.S. Citizens and resident aliens who live and earn money or have investments abroad that generate income are required to report them and pay appropriate taxes. Any gains related to stock ownership on foreign exchanges, foreign trusts, and bank accounts need to be disclosed for tax purposes. The IRS looks at taxpayers’ overall gains rather than their sources. Depending on your situation there may be additional forms that you have to fill out. One of them is Form 8938 requesting a disclosure of foreign assets. The form gets quite specific asking not only about totals of foreign accounts but also their direct sources and breakdown between foreign deposits and custodial accounts. 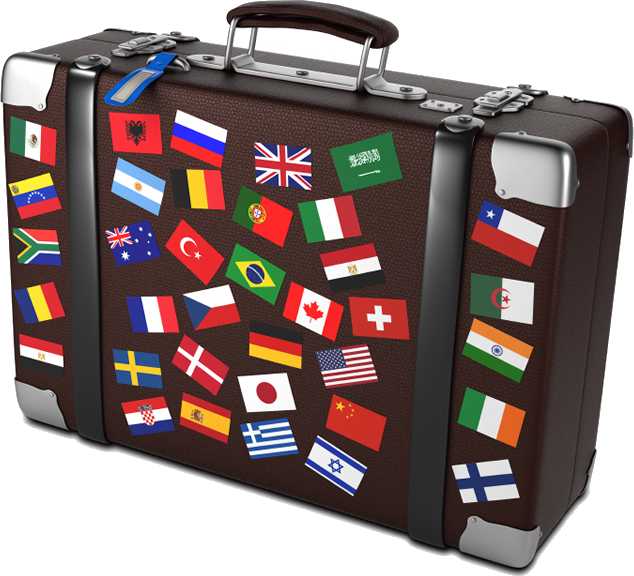 The IRS tries to offer reasonable exemptions from the money you earn while living abroad. Form 2555 or Form 2555-EZ provide a worksheet to calculate foreign earned income and determine if an exclusion apply to pay taxes on up to $97,600. Both forms use Bona Fide Residence or Physical Residence test to determine whether or not the exclusion applies. The amount of $97,600 is the maximum one can claim if the person spent all year working abroad; the form provides a simple formula to calculate the amount if you spent less than a year working abroad. Additionally, in order to avoid a burden of double taxation taxpayers with foreign income may qualify for a tax credit or a deduction. Taxpayers can choose either a deduction or a credit. A deduction lowers the amount of U.S. taxable income and a credit lowers U.S. tax liability. In general a credit is more advantageous to most but it’s advisable to calculate the overall impact on taxes under both methods. Even if you reside abroad you still have access to lots of help filing your taxes. For once you can access irs.gov or independent websites providing explanation to tax questions. The IRS has offices in the following cities: London, Frankfurt, Paris, and Beijing and their staff can assist you with the filing process. Last but not least, you can file your taxes electronically and if you have a bank account in the U.S. and expect a refund, you can choose a direct deposit. By meeting certain criteria you may even be able to file your taxes for free. The IRS freefile explains how to get it done. And here’s our post on filing taxes free of charge.